Sprinkle flank steak with sea salt. Place flank steak, quartered onion, garlic and broth in the bottom of a pressure cooker. Bring liquid to a boil over medium high heat. Place lid on pressure cooker and cook on high pressure for 20 minutes. You may need to lower the burner to maintain proper pressure setting. Remove from heat, release pressure. Carefully remove lid. Remove the flank steak to a cutting board and allow it to cool slightly. Once cool enough to handle, shred the beef with two forks, coarsely chop and set aside. In a large skillet, saute chopped onion and bell pepper in butter (or oil) over medium-high heat until tender. Add minced garlic and saute 2 minutes. Stir in salt, tomatoes, lime juice, hot sauce, cumin and black pepper. Cook, stirring occasionally until most of the liquid has evaporated. Add shredded flank steak to tomato mixture and stir until well combined. 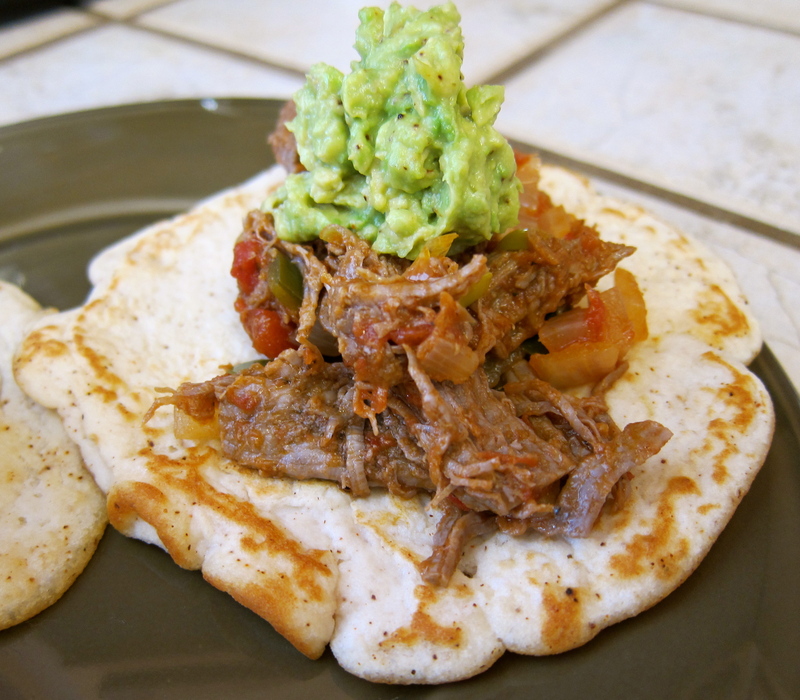 Serve warm on coconut flour tortillas with a dollop of guacamole. 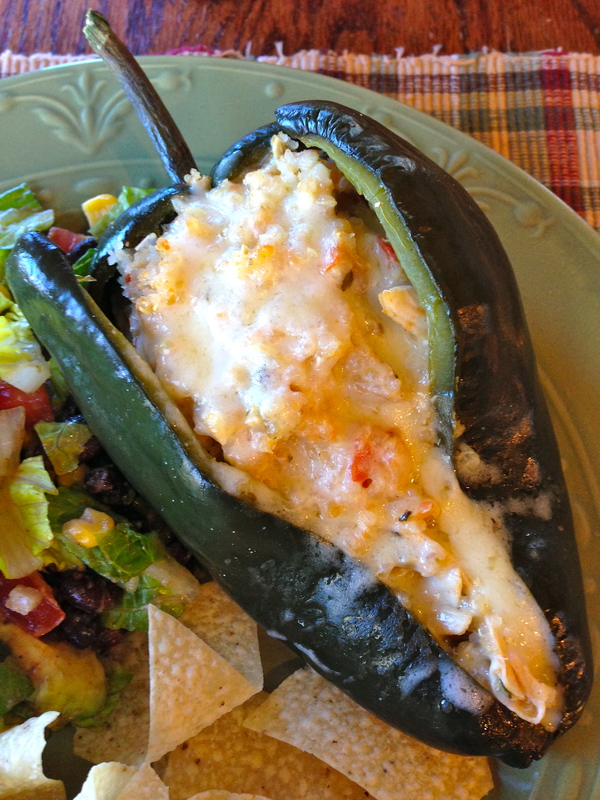 In a large skillet, heat butter or oil over medium high heat, saute onions and jalapenos until soft. 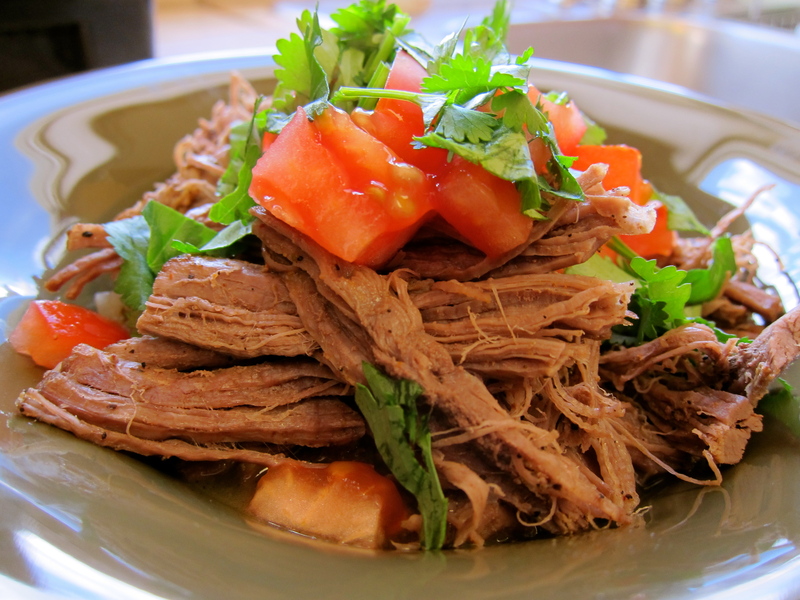 Plate onions and jalapenos in a shallow soup bowl, top with shredded flank steak, chopped tomatoes and cilantro. Serve warm. If you haven’t invested in the new Paleo Comfort Foods cookbook yet you are truly missing out…EVERY recipe I have tried has been completely amazing, including this recipe for Coconut Flour Tortillas. Whisk all the ingredients in a large bowl until smooth. Preheat an 8″ nonstick skillet over medium heat. Place about 1 tsp. butter or oil in the pan and swirl to coat evenly. Ladle 2-3 Tbsp. of batter in the pan, tip the pan from side to side to get a thin layer of batter across the entire surface. Once the first side is golden brown, use a very thin spatula to flip over to the opposite side again cooking until golden brown. 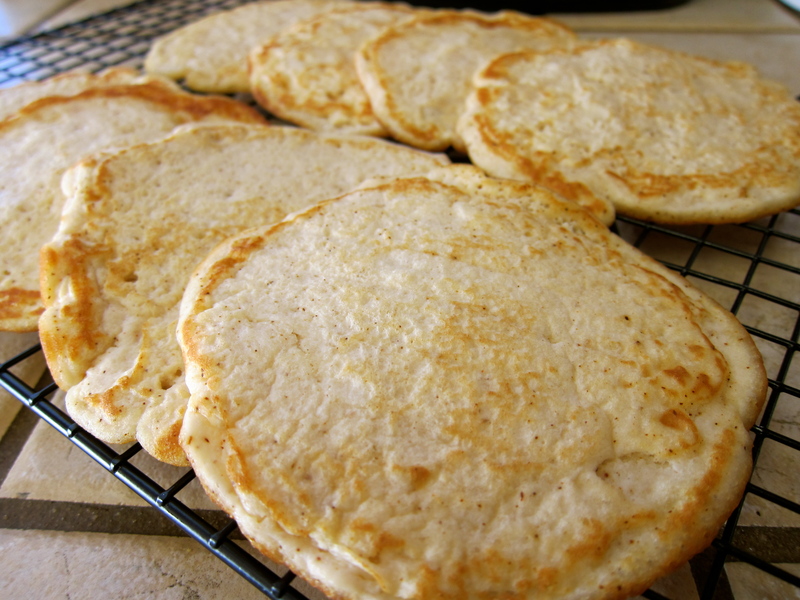 Remove the tortilla to a wire rack and repeat the entire process beginning with the oil or butter. This recipe makes about 8 tortillas. I like mine a bit thicker than a regular tortilla but you can add more water to make the batter thinner which will yield a thinner tortilla.